My youngest grandson, Fischer, loves Jell-O. When he stays over on a school night, his first request for a ‘cold’ lunch includes red Jell-O cups. I took it a step farther and made rainbow Jell-O. What was suppose to be a joint project with Fischer turned into an all day project for NeeNee while he went to the movies. I should have known he wouldn’t have the patience for this particular project. Four hours later, the colorful layers were ready to set-up for an additional two hours. Yep, you read that correctly. 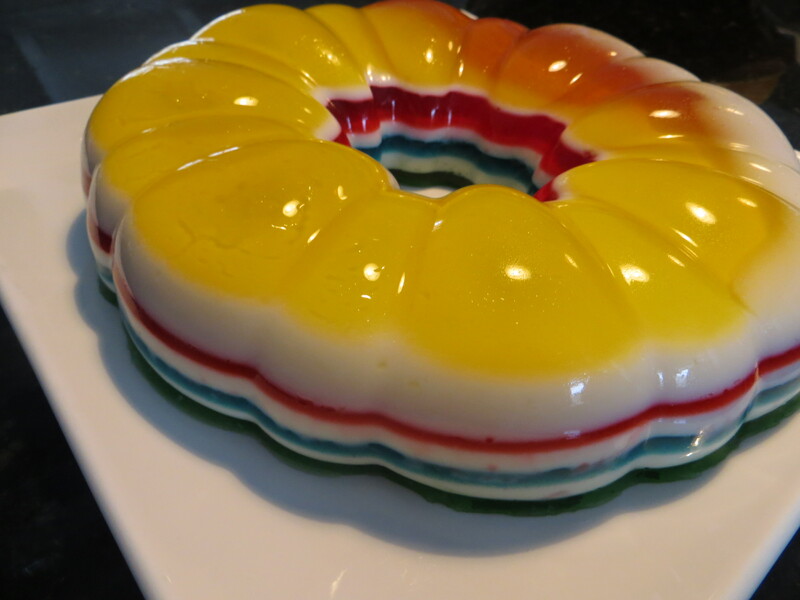 It took six hours to prepare this Jell-O dish. Leave it to stupid-o NeeNee to make good on that claim. Combine on package flavored gelatin and one envelop unflavored gelatin in a small bowl. Add 1 cup boiling water and stir until dissolved. Cool 5 minutes. Pour mixture into a deep baking dish of your choice. (I used a Bundt pan). You will want to spray a light coating of cooking spray inside the dish. Combine condensed milk (scrape the inside of the can clean) and 1 cup boiling water in a bowl. Mix well using a wire whisk. Set aside. In another bowl and add 1/4 cup cold water. Sprinkle two envelopes of the unflavored gelation over the cold water. Let stand for a minute and then stir in 3/4 up boing water. Add the unflavored gelation mixture to the sweetened condensed milk mixture. Mix well. Remove the first gelatin layer from the fridge and spoon a layer of the creamy condensed milk mixture over the top. Return to fridge and let set for 25 minutes. Continue alternating layers of the flavored gelatin and creamy milk mixture. To keep each layer ‘pure’, make sure that you allow the dissolved gelatin to cool down before spooning over the previous layer. Chill each layer before spooning next layer. Top off the final layer with a flavored gelatin. Refrigerate for 2 hours before cutting and serving. 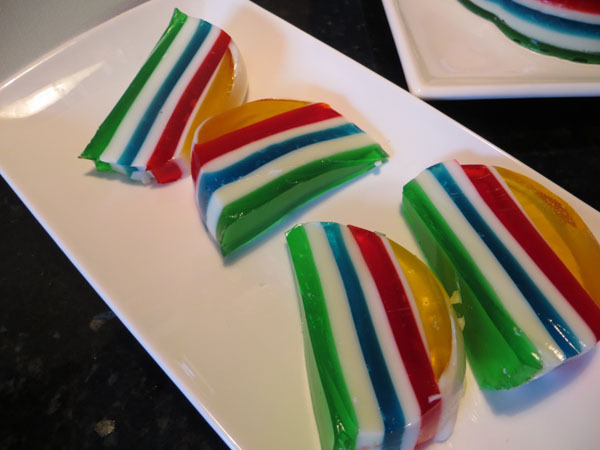 This Jell-O recipe will keep in the refrigerator for up to 10 days. Freezing unused portions is not recommended. Last week I had my annual health physical. The good news: I’m six feet above ground. The bad news: I might not be if I don’t get my cholesterol under control. I can’t rely on medication alone. So, needless to say, it will take some initiative on my part that includes both exercise and additional fiber in my diet. These will be my front-line weapons in bringing down the enemy (that being high cholesterol). Most of us have seen a pre-printed handout listing high fiber foods. It typically includes grains, fresh fruit, vegetables and bran cereals. But there are many other foods and snacks never suggested. If you’re like me, you sometimes need a break from traditional high fiber foods. 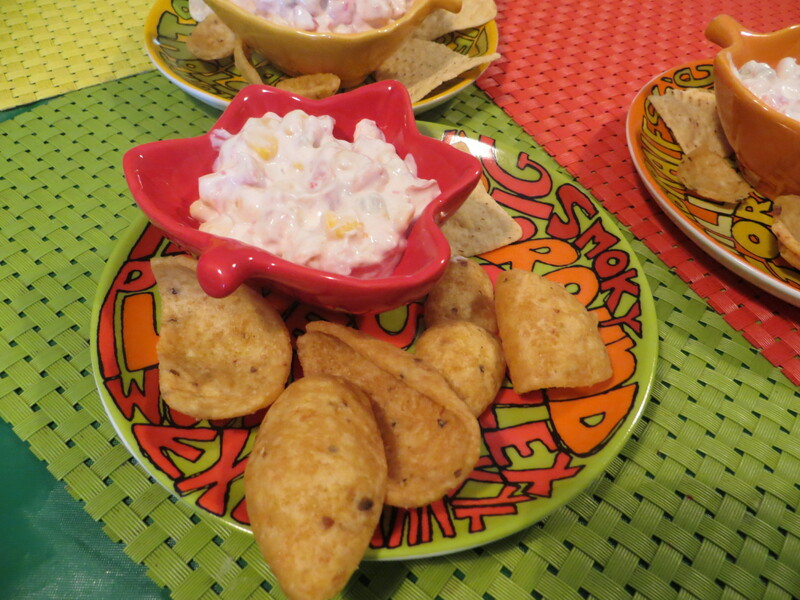 I’d like to share three snack foods you probably won’t find on a high-fiber diet handout. The sole ingredient is chickpeas which are low in calories, high in fiber and zero cholesterol. Not to mention they are downright filling. I find it hard to finish an one ounce serving, which is roughly a scooping handful. Oh, and let’s not forget the iron and calcium you find in these little guys. Toss some in your salads instead of croutons, or add to roasted red pepper soup for a little crunch. I will get a recipe posted soon for soup along with a Mediterranean arugula and roasted chickpea salad (Yum!) that pairs wonderfully. 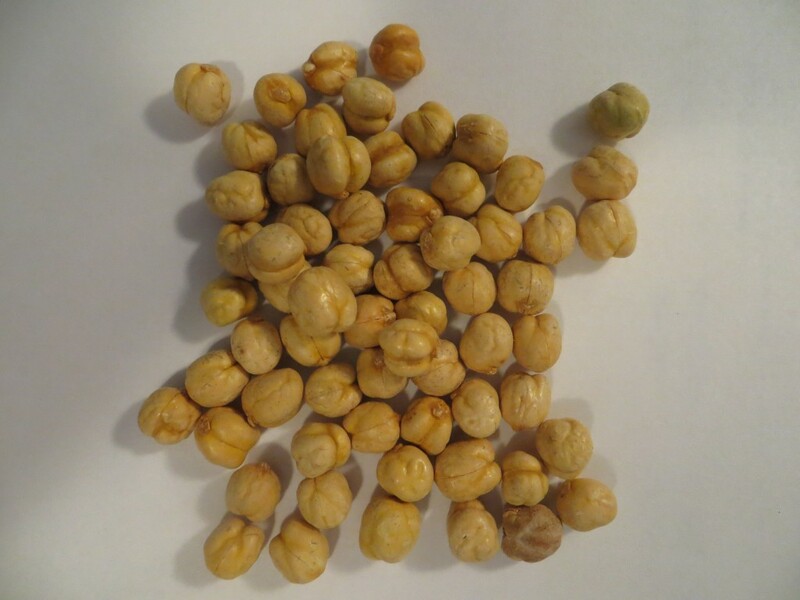 BTW, a one ounce serving of roasted chickpeas is just 102 calories with 18 fat calories. You can roast your own or purchase pre-roasted. I like the pre-roasted because they are always on hand. Nuts.com sells a one pound bag for around $4 bucks. 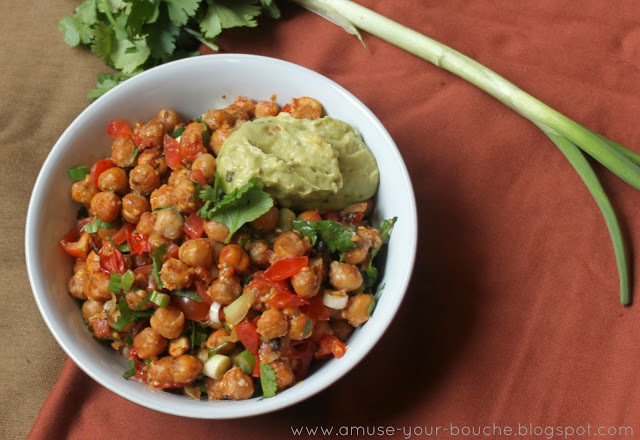 Here’s an awesome roasted chickpea nacho recipe from Becca over at Amuse Your Bouche blogspot. Shes uses cilantro which I am not fond of so I substitute with chopped spinach leaves. You can also use parsley or basil. 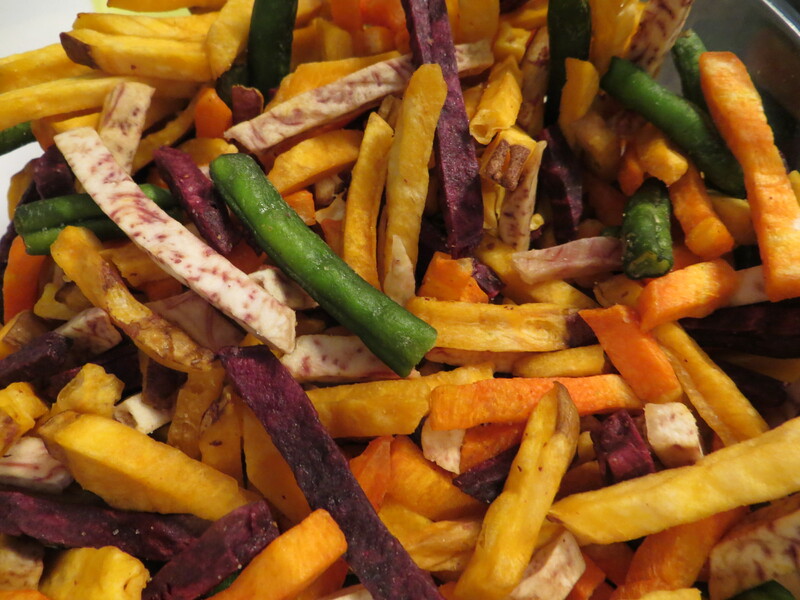 Who would have thunk dried veggies could taste this good! But they do. In my opinion, they claim the upper-hand over potato chips because they are made with hydrogenated canola oil rather than shortening or lard. Calories are slightly lower than baked potato chips and usually contain less salt. Veggie chips or veggie sticks, particularly carrot (10% RDA of Vitamin A), are a healthy snack food choice when eaten in moderation. I purchase mine from Nuts.com and the fiber per serving averages between 8-12%. That’s not bad for a snack food. Plus, zero cholesterol. It’s best to stay away from oil soaked sun dried tomatoes, especially if you’re calorie counting. Minus the oil, you save 40 calories per serving and 45 fat calories. Once again, Nuts.com gets my vote. 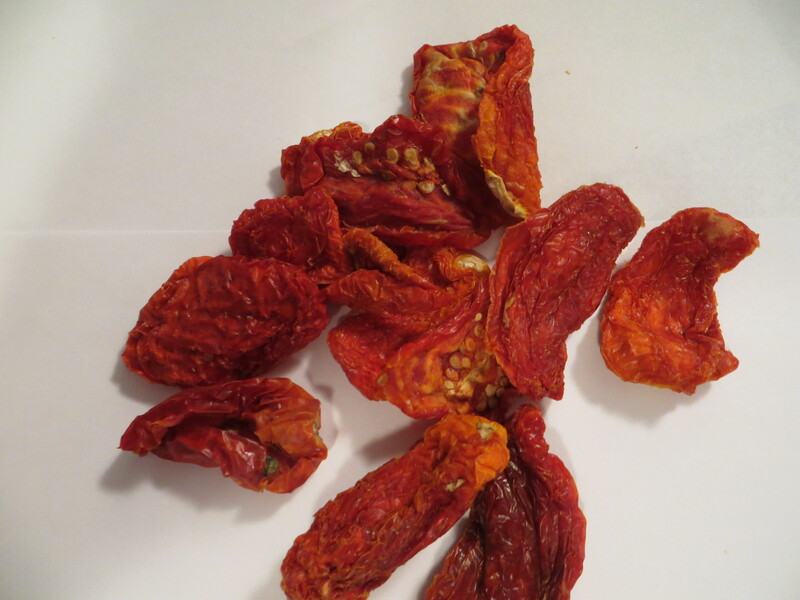 A yummy one pound of sun dried tomatoes (no oil) is around $5 bucks. A serving size is 0.5 ounces which is 3 nice size pieces. The tomatoes are flavorful, wonderfully chewy (think beef jerky) and a mere 30 calories per serving with zero fat and 10% of RDA Dietary Fiber. Each serving contains 32% vitamin A, 10% vitamin C and 6% iron. That’s one heck of a healthy snack. So, when you’re looking for high-fiber options, here are three easy snacks to consider. Of course none of these snacks should replace raw vegetables, but they are a nice alternative when you need a change from carrot sticks, broccoli/cauliflower florets, or celery.